If you want to remove html tags from a string in java you need to use regex. Using java regex we can trim/remove html tags from given string. 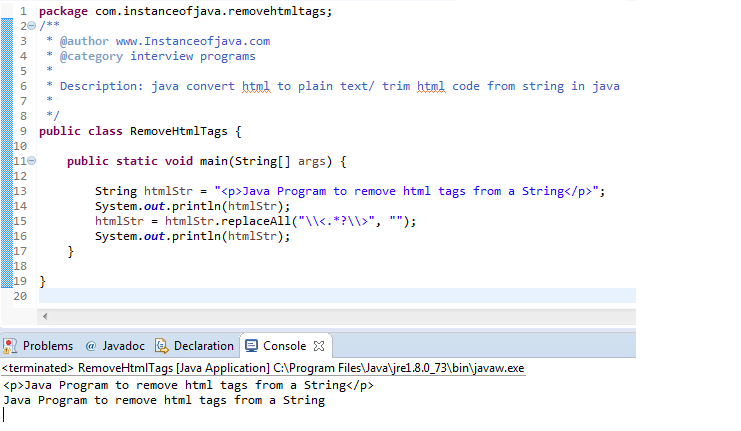 Lets see a java example program on how can we remove html code or html tags from a string in java.